The final full week of the regular season is here in week 13. There are some massive College Football Playoff implications this week with #6 Washington at #23 Washington State, Minnesota at #5 Wisconsin, #3 Michigan at #2 Ohio State, and #16 Auburn at #1 Alabama among them. There are also other big games like Toledo at #14 Western Michigan, #21 Utah at #9 Colorado, #25 LSU at #21 Texas A&M, and rivalries such as #13 Florida at #15 Florida State. 1. All 3 MACtion games on Tuesday (11/22 at 7 PM) – This trifecta consists of Akron at Ohio, Ball State at Miami (OH), and Central Michigan at Eastern Michigan. There are a lot of story lines on Tuesday for the three MAC games. Akron sits at 5-6 and a win would put them in a bowl game. They face Ohio, which would win the MAC East with a victory. However, a loss by them opens the door for Miami (OH) to win the MAC East. They too play on Tuesday at home to Ball State. A win for Miami (OH) puts them in a bowl and combined with a loss from Ohio puts them in the MAC Championship. Do not take anything for granted with if you are watching these MAC East games. The third game has no MAC or bowl implications, but involves a pretty good story: Eastern Michigan. The Eagles are 6-5 and will be headed to their first bowl game since 1987. A win against Central Michigan will guarantee the Eagles their first winning season since 1995. 2. Boise State at Air Force (11/25 at 3:30 PM) – Boise State is still in the running for the Group of 5 New Year’s Six spot, but they need a lot of help. First up, they need to defeat Air Force, but the Falcons have won the last two games versus the Broncos. If Boise State defeats Air Force, they will then need a loss by Wyoming against New Mexico while they will have to defeat San Diego State in the MWC Championship Game. If all that happens, it will be up to the CFB Playoff Committee and their rankings to determine if it is Boise State or Western Michigan (assuming they win the MAC) that ends up with the Group of 5 spot. There is something at stake for Air Force and that is a 10 win season. If Air Force wins they would be 9-3 and then would need to win their bowl game. That would give them two 10 win season in the last three seasons. 3. TCU at Texas (11/25 at 3:30 PM) – A battle of two underachieving teams will ensue here and both teams are a win away from being in a bowl game. TCU is 5-5 and face Kansas State on December 3 so a loss here is not the end of the road. The end of the road is near for Texas’ Charlie Strong after the 24-21 overtime loss at Kansas last week. The Longhorns are 5-6 and a win here will at least get them to a bowl game, but Strong will not be there if it happens. 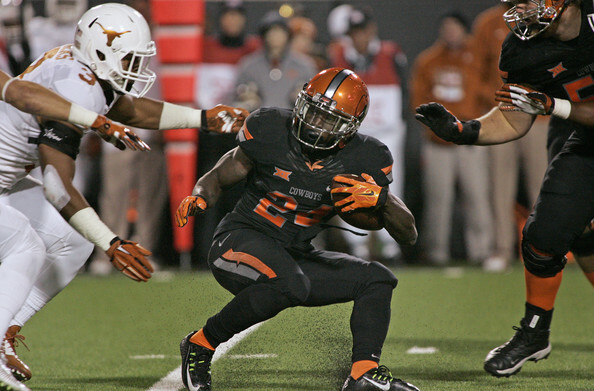 Will Texas’ players send Strong off with a win? Or will TCU reach 6 wins and a poor season for the Horned Frogs? 4. Kentucky at Louisville (11/26 at 12 PM) – Kentucky, for all their issues this season against good teams, still has a chance to pull of the big upset. They have already reach 6 wins and will be in a bowl game, but they get Louisville at the perfect time. Louisville was completely outplayed at Houston last week in their 36-10 loss. They lost their chance at the College Football Playoff and then lost their slim chance of the ACC Atlantic title on Saturday when Clemson beat Wake Forest. How will Louisville respond? Will they play sluggish? There is no doubt that Louisville is the better and more talented team. They should dominate this game, but they do not have the same motivations they did after their win against Wake Forest. Then again, maybe this is a chance for them to let go of their frustrations. This game is worth keeping an eye on to see how they respond after their title aspirations evaporated. 5. 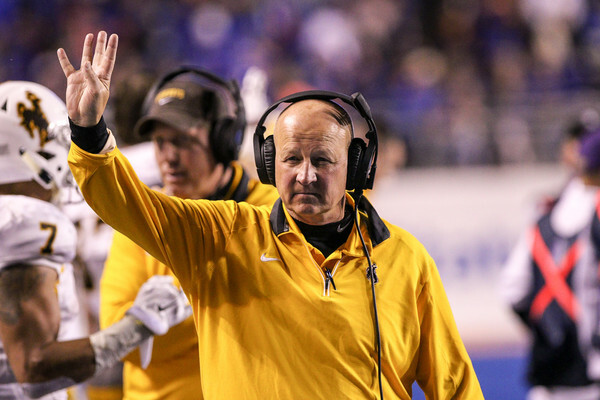 Wyoming at New Mexico (11/26 at 10:15 PM) – Not much at stake here, just the MWC Mountain Division title. A Wyoming win puts them in the Championship Game as does a loss by Boise State versus Air Force. This will not be an easy game though because New Mexico has a unique shotgun formation triple option attack that can put up points. Wyoming can put up points too and this game could come down which defense plays better. The advantage there goes to Wyoming, but will the idea of a division title creep into their minds and cause them to play cautious? 6. All smaller bowl game/5 win teams – There are currently 64 teams that have reached 6 wins and will be in a bowl game. There are still 19 teams that have a shot at reaching six wins (or 7 wins in the case of Army). In week 13, there are 7 games were 5 wins teams are facing an opponent with a winning record. There is a strong chance we will see 5 win teams in a bowl game in 2016. Let’s hope for some upsets (or some reduction in the number of bowl games). This will be last edition of Under The Radar Games for 2016. The previous columns for this season can be found below. 1. Corey Clement’s health – Corey Clement was injured late in the second quarter on what looked like a routine carry and tackle. He held his left leg as the nearby scrum went for the loose ball. Clement had looked great in this game and last week against LSU. His cuts were crisp, he broke tackles, he spun, and looked 100 percent while running with a chip on his shoulder. But Badger fans will remember last year when he missed a majority of the season due to a sports hernia. Clement is a huge part of this offense, but it is worth noting that Dare Ogunbowale and Taiwan Deal can carry the load if Clement is out for an extended period of time. 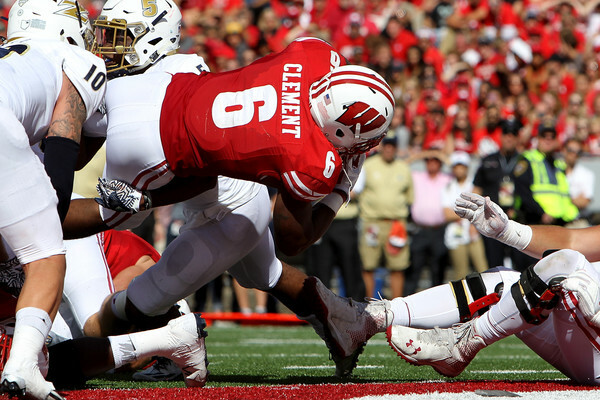 Clement racked up 111 yards and 2 touchdowns on 21 carries before his injury and the below stat will have Badger fans hoping for a quick return to the lineup. #Badgers are now 9-0 all-time when Corey Clement rushes for at least 100 yards. 2. Special Teams unit needs work – There were a lot of mistakes by the Wisconsin special teams unit. The opening kickoff saw a hold, Akron’s first kickoff return was a nice return to their own 36, there was a kickoff out of bounds, and finally the punt return for a touchdown by Akron late in the second quarter. All of that happened in the first half as well. The second half was way better for this unit and there was not much to complain about, but troubles from the first half will need to be corrected. 3. Bart Houston still showing some struggles – To be fair, Bart Houston is making just his second start in college and perfection is not expected. However, he is still making mistakes we saw last week against LSU. In the opening two drives, he had two passes that should have been picked off because he forced throws to receivers that were not open. In addition, he has a habit of staring down his receivers like Jazz Peavy in today’s game. Houston may have gotten away with those against an overmatched team like Akron, but he saw last week what happens when you play a top defense like LSU (or Michigan, Ohio State, Iowa, and Michigan State). Improvement is still needed in his decision making and progression reads. There are signs of a really good player in Houston. His touchdown pass to Peavy late in the first half was impressive. He put the ball right between the corner and the underneath safety while hitting Peavy in stride. That is not an easy throw to make so we know why Houston was named the starter. 4. The receivers show potential – Ah, the dreaded “p” word: potential. Jazz Peavy was the go to guy in this game with 7 catches for 100 yards and 2 touchdowns. Robert Wheelwright showed flashes of being a productive receiver in 2015 and he finished with 4 grabs for 99 yards while showing good hands. Troy Fumagalli only caught two passes for 16 yards, but he was a huge factor last week (7 catches for 100 yards). A.J. Taylor even got some action in the second half and showed some ability with two catches for 39 yards. There is talent for Houston to throw to if needed. 5. The backups got meaningful snaps – This is the dream scenario early in the year. 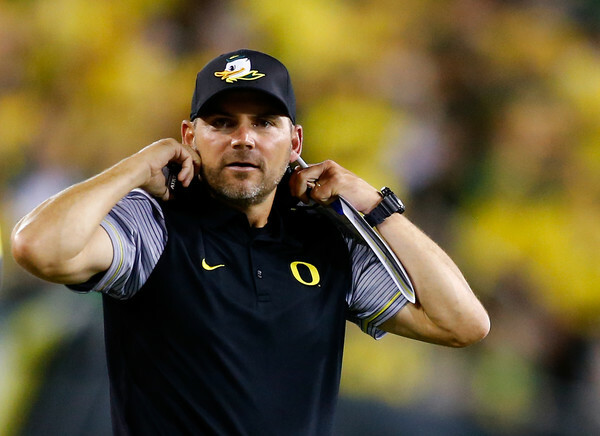 Play an inferior opponent, build a big lead, and get the younger guys some meaningful snaps. The backups were in with five minutes left in the third quarter which allowed guys like quarterback Alex Hornibrook (5 for 5 with 61 yards and a touchdown) to put the playbook to use in a competitive environment. The star of the backups was running back Bradrick Shaw with 9 carries for 74 yards and an excellent 35 yard scamper for a touchdown. He showed power and speed, which is a great sign for the Badgers going towards the future. 6. 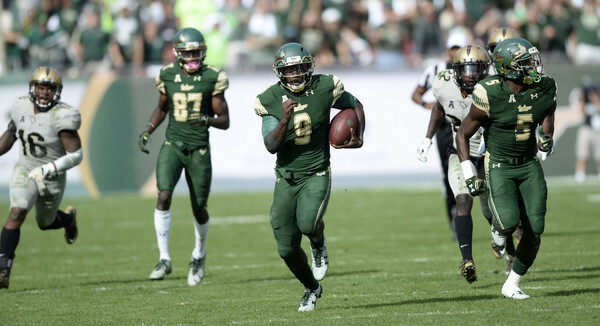 The offense looked much better – Again, this is to be expected when a team goes from facing LSU to Akron. There is no denying that the offense just looked and operated much better. Houston had some bad passes, but he also made some good ones (see above). The offensive line made giant holes for Clement, Deal, Ogunbowale, and Shaw. The receivers showed good hands when throws were not perfectly placed. Oh and they were 6 of 7 inside the red zone with one field goal. Their lone failure was when Clement slipped on his way to the end zone and the defense ended up forcing a safety on Akron’s ensuing drive. The Badgers are now 2-0 and will have another easy opponent next week with Georgia State coming to Madison. Game time is scheduled for 12 PM Eastern Time. The 2016 College Football season is right around the corner and that means prediction time. Below are five predictions for Mid-American Conference for the 2016 season. Some predictions will be right, some predictions will be wrong, and some will be spectacularly awful by the end of the season. There is one change to the teams in the MAC and that is the loss of Massachusetts as they are now an Independent. That evens out the teams to six in both the East and West. The six East teams are Akron, Bowling Green, Buffalo, Kent State, Miami (OH), and Ohio. The six West teams are Ball State, Central Michigan, Eastern Michigan, Northern Illinois, Toledo, and Western Michigan. 1. Northern Illinois will make it 7 straight MAC Title Game Appearances – The Huskies have been a dominant force in the MAC and MAC West by competing in the MAC Championship Game each year since 2010. They have won three of those (2011, 2012, and 2014) and look poised to reach the title game once again in 2016. For NIU, they will have two main challengers in Western Michigan and Toledo. The Huskies face Western Michigan on the road and play Toledo off campus in Chicago on a Wednesday night at US Cellular Field. The Huskies welcome back seven starters on offense including quarterback Drew Hare (1,962 yards, 63.8%, 14 touchdowns, and 4 interceptions), running back Joel Bouagnon (1,285 yards and 18 touchdowns), and receiver Kenny Galloday (73 catches for 1,129 yards and 10 touchdowns). The defense will bring back six starters from a unit that allowed 27.6 points and 418 yards per game. That unit should have a solid year. Toledo is coming off a 10-2 season, but is introducing a new coach in Jason Candle and only have 11 starters back (seven on offense and four on defense). Western Michigan seems like the biggest threat because they have eight starters returning on offense (36 points and 491 yards per game in 2015) as well as five on defense (28.3 points and 414 yards per game). The biggest factor for WMU is they face both NIU and Toledo at home, which may give them the slight edge. 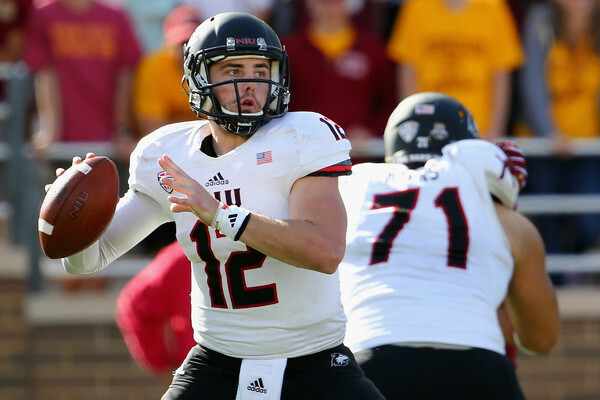 Still, NIU seems to have a knack for getting it done and that is why they are predicted to make the MAC Championship. Again. 2. Western Michigan will defeat at least one Big Ten opponent in 2016 – The Broncos will be facing two Big Ten foes in the first three weeks of the season when they travel to both Northwestern (Sep. 3) and Illinois (Sep. 17). The first week of the season is always interesting because teams are not in peak form, which leads to upsets (see Northwestern v. Stanford in 2015’s opening week). The Illinois game looks like the better opportunity for an upset, at least on paper. Lovie Smith is entering his first season as a college coach, but he is taking over a team that has 11 starters back (seven on offense and four on defense) as well as implementing new schemes. 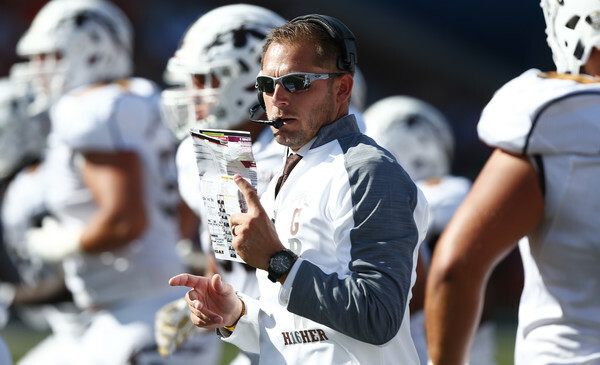 The Broncos are entering their fourth year of head coach PJ Fleck‘s schemes. The Broncos have a history of playing Big Ten teams really tough as well. They lost 23-20 to Illinois in 2011, lost 28-23 to Minnesota in 2012, lost 26-13 to Michigan State in 2013, lost to Purdue 43-34 in 2014, and lost to Michigan State 37-24 last year. All of those games were on the road except last year against the Spartans. Western Michigan is poised for a potentially big year and defeating one (or possibly both) Big Ten schools is not out of the question. 3. The East will be mayhem – It is hard to confidently make a prediction as to which team will win the MAC East in 2016. 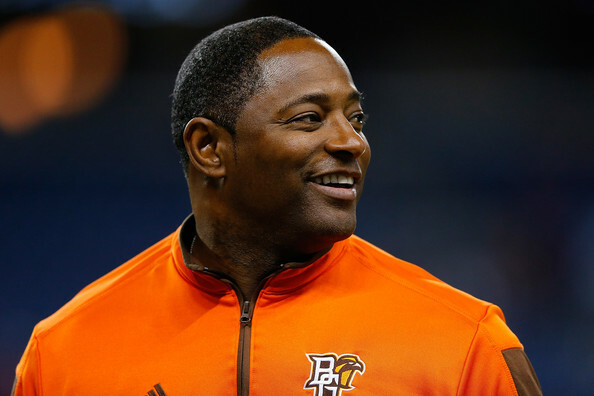 Bowling Green has a new coach (Mike Jinks) while also losing their quarterback, running back, and three of their top four receivers. Ohio is returning 12 starters (six on each side), but need to find a suitable quarterback and running back combination. Akron has only seven total starters returning in 2016 and lost six of their top seven tacklers on defense as well as their top running back and second and third leading receivers. Buffalo will be in their second year under Lance Leipold, but have only three starters back on offense. The defense should be solid with eight starters back, but the loss of their top quarterback, top running back, and top two receivers will hurt. They could pull a surprise in 2016 though with a solid defense leading the way. Kent State went only 3-9 in 2015, but they return an incredible 18 starters in 2016 with ten on offense and eight on defense. In addition, they are in year four under Paul Haynes and could make serious strides. Then there is Miami (OH) who also returns ten starters on offense and six on defense. They are in the third year of Chuck Martin‘s reign and could also pull some upsets. The MAC East has a lot of variables that will produce plenty of action. Sure, Bowling Green may be the favorite, but they are far from a cinch to win the division. Expect some upsets and chaos from the East. 4. Kent State will reach six wins – The Golden Flashes have 18 starters returning with ten on offense and eight on defense. The offense will need to make a massive jump in production if they are to make this prediction come true. Kent State put up an anemic 13.1 points and 271 yards per game in 2015 despite having eight starters returning. The rush offense was okay putting up 133 yards per game, but the passing attack was horrendous gaining just 138 yards per game. The running game is likely to be anchored by Nick Holley who put up 133 yards in three games last year before an injury, but was more effective in 2014 gaining an average of 4.1 yards per carry. The receiving group has their top nine back and no matter who wins the quarterback job, the passing game will be better. The defense gave up 26.1 points and 350 yards per game in 2015, which are very respectable numbers in this conference. There are eight starters back for this unit and it should be one of the best in the conference, which will help if the offense struggles again this year. The Golden Flashes have a non-conference schedule of Penn State and Alabama on the road while playing FCS foes North Carolina A&T and Monmouth at home. In conference, they do draw Western Michigan and Northern Illinois from the West with both games at home, which will likely result in two losses. Their games against Akron (home), Buffalo (road), Miami (OH) (road), Ohio (home), and Bowling Green (away) in the East will dictate their ability to reach the six win plateau. However, the East is up for grabs and if the offense improves, it could be a solid improvement this season. 5. Eastern Michigan will end their four straight years of double digit losses (and not finish last in the West) – Eastern Michigan has not been a very good football program, but not for lack of trying. They went 4-8 in 2007 and 3-9 in 2008 before going with Ron English as their coach for 2009. It did not get better as they went 0-12 in 2009 and then 2-10 in 2010. They improved to an excellent (for this program) 6-6 in 2011, but did not go to a bowl game. The Eagles slipped back to 2-10 in both 2012 and 2013 with English being let go during the 2013 season. 2014 saw EMU go 2-10 and they struggled again in 2015 as they went 1-11. 2016 will be year three under Chris Creighton. They return 8 starters from an offense that improved 10 points per contest in 2015. They went from 15.2 points and 290 yards per game in 2014 to 25.4 and 380 yards per game in 2015. Quarterback Brogan Roback should improve on his numbers of 2,304 yards (61%) with 16 touchdowns and 11 interceptions. The running game and receivers will also benefit from the entire offensive line returning. The defense has been terrible the last three seasons for Eastern Michigan. Their best effort was in 2014 when they allowed 40.9 points and 499 yards per game. Eight starters are back from last year’s group that allowed 42.1 points and 519 yards per game. Even an improvement to 2012’s bad numbers of 37.6 points and 479 yards per game would go a long way. The schedule is favorable for Eastern Michigan to win at least three games. They open with Mississippi Valley State at home before road games against Missouri and Charlotte (another winnable game). They close with Wyoming at home. They have to face some tough teams (Bowling Green on the road, Toledo at home, Ohio on the road, Western Michigan on the road, and Northern Illinois at home), but they have a couple winnable conference games. They will face Miami (OH) at home and Ball State on the road, which could both be wins and improve. The Eagles end the season with Central Michigan at home. The Eagles have a decent schedule to navigate their way to possibly four wins (or even five with an upset or two). That would be a very solid improvement for this program. With the MAC predictions above, there are now predictions for four conferences in the books. Below are the predictions completed and which conference is next.